It was a somewhat mixed week for US equities, with a third consecutive net weekly gain for the sp'500 of 18pts (0.9%) @ 2033. 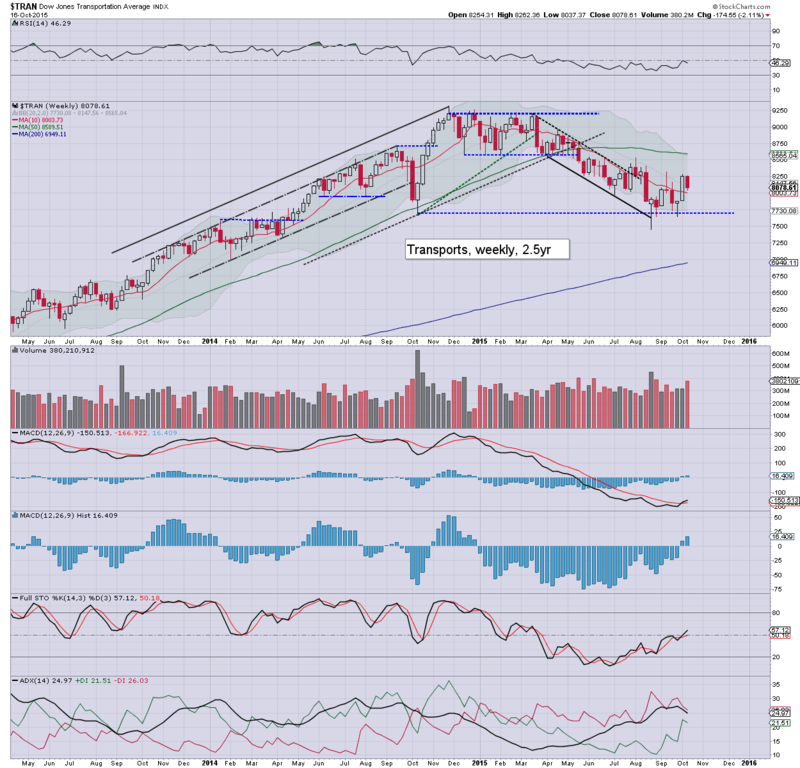 However, the two market leaders - Trans/R2K, settled net lower by -2.1% and -0.3% respectively. Near term outlook is broadly bullish. 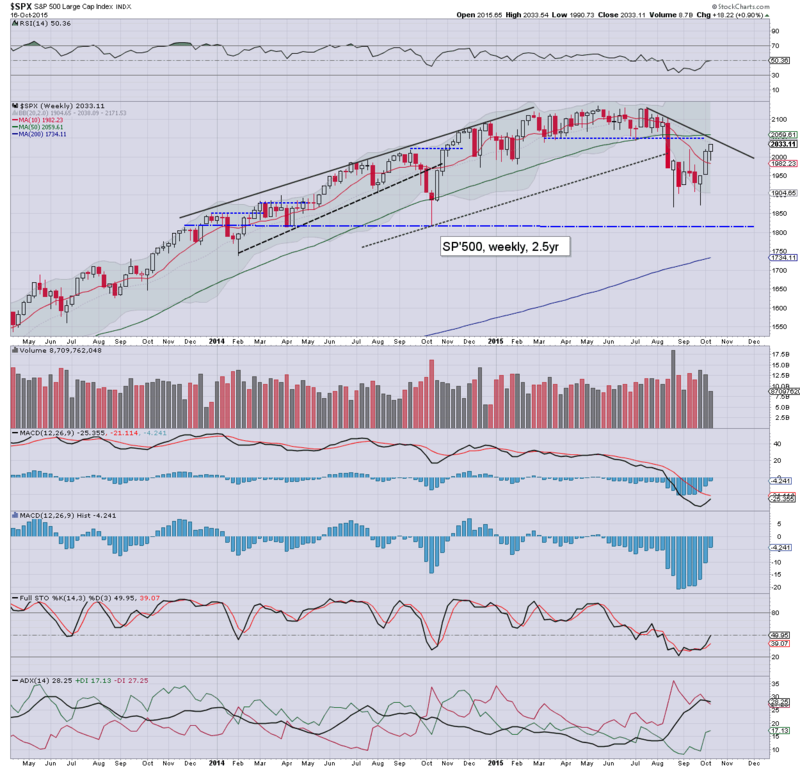 The sp'500 climbed for the third consecutive week, and is now just 1.5% or so away from critical resistance. Underlying MACD (blue bar histogram) cycle is set to turn positive at the Monday open. That will certainly make for a bullish signal, and should result in further upside for at least another week or two. 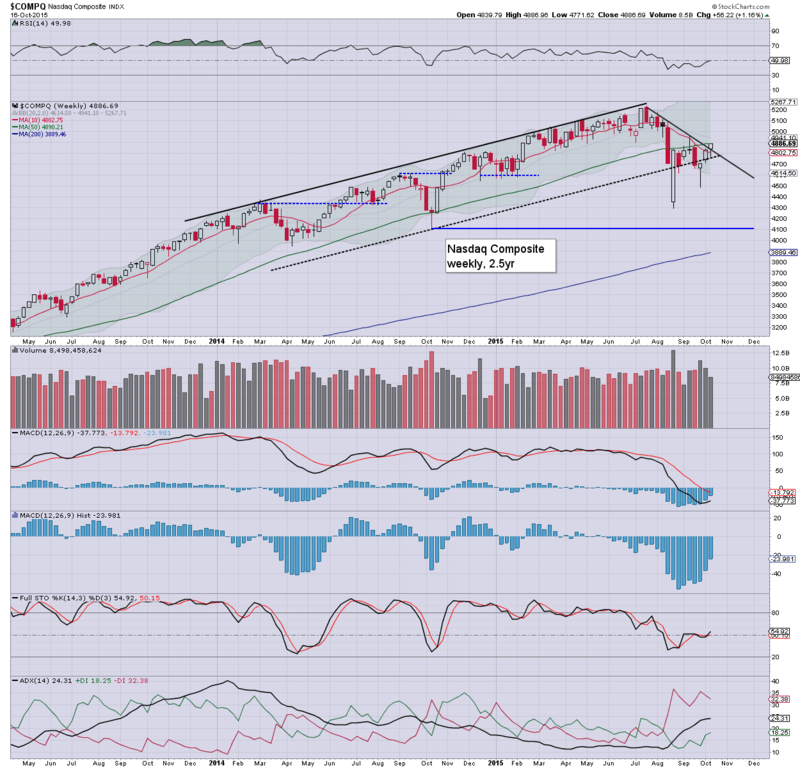 The tech gained a rather significant 1.2% this week, settling at 4886, notably above the 10MA. First target is the big 5K threshold. Underlying MACD cycle is set to turn positive in 6 trading days time. 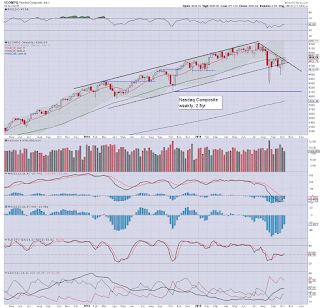 The mighty Dow gained 131pts (0.8%) @ 17215... far above the 10MA. Next resistance is the 17500/700 zone. Underlying MACD cycle will turn positive at the Monday open. 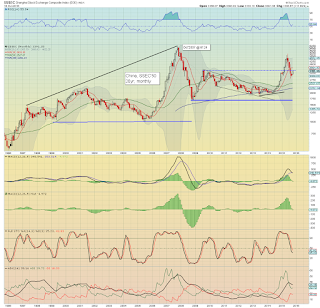 The master index climbed 0.6%.. sustainably above the 10K threshold. Next upside resistance are the 10600s. 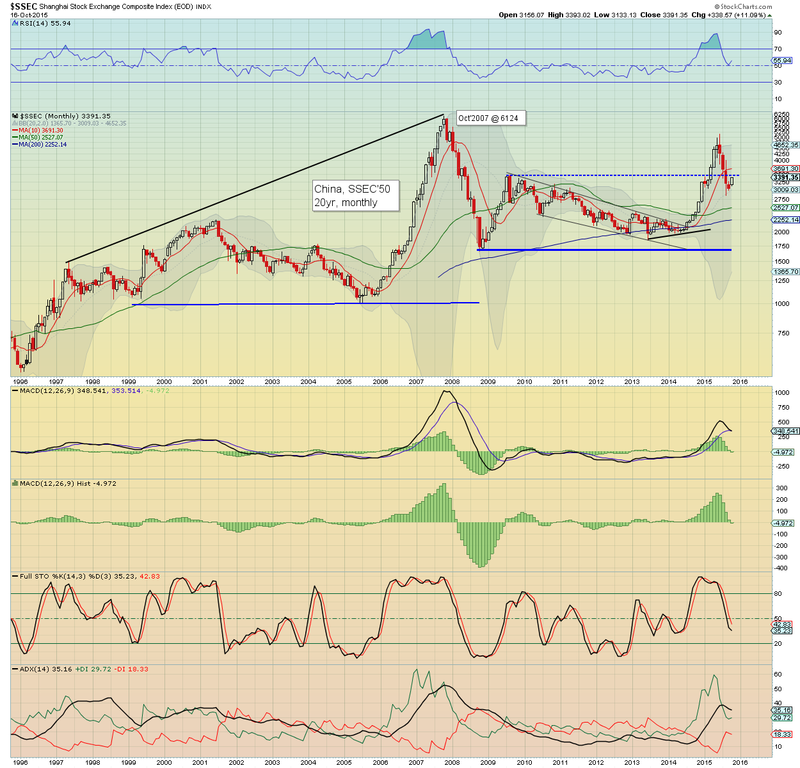 Any sustained action >10800 would bode for new historic highs in the US market into early 2016. 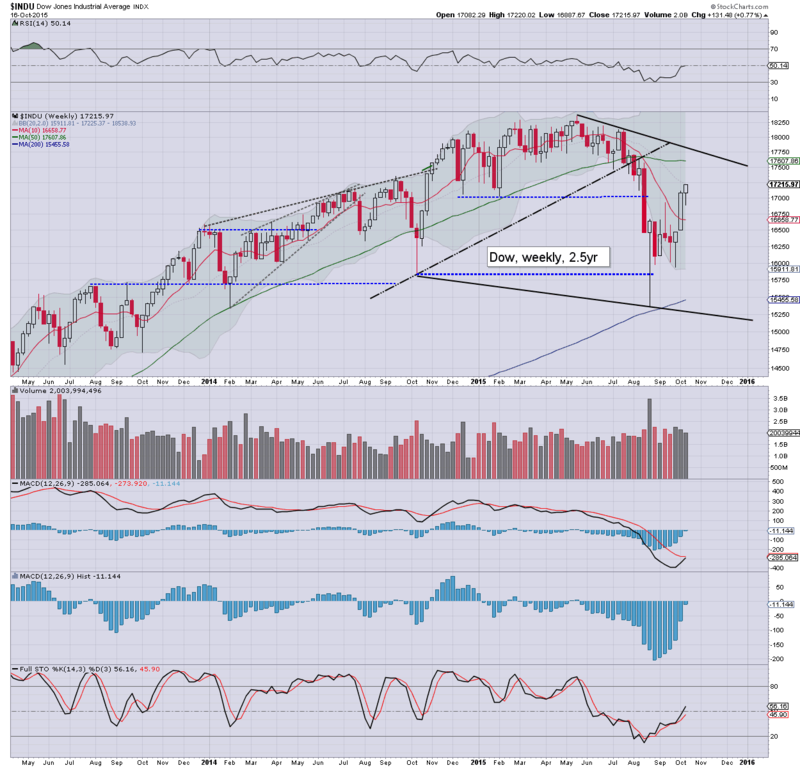 The second market leader saw a minor net weekly decline of -0.3% @ 1162. First upside target is the 1200 threshold. 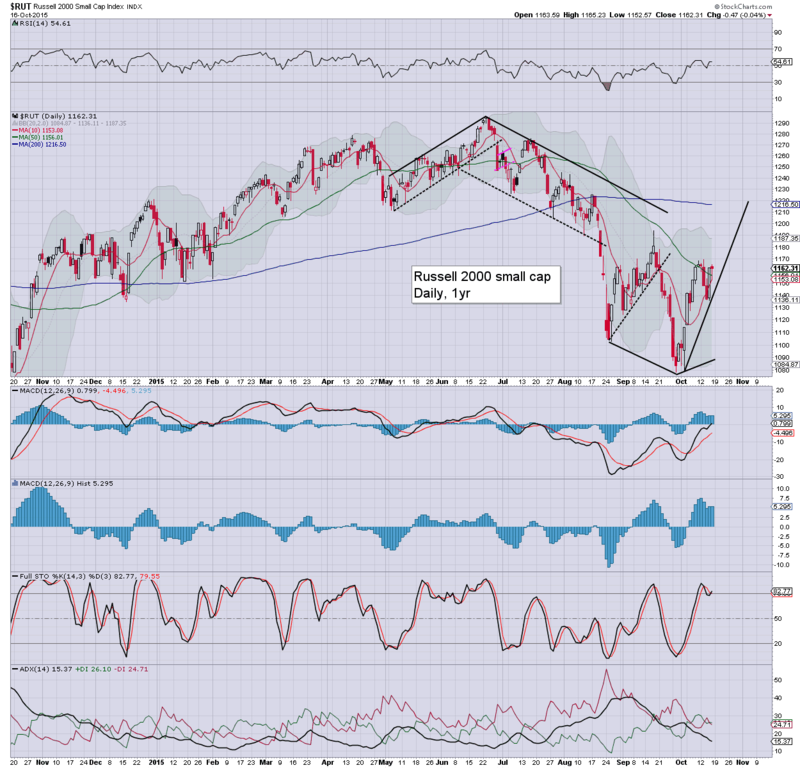 Any sustained action in the 1200s would be suggestive that the R2K will break new highs into next year. 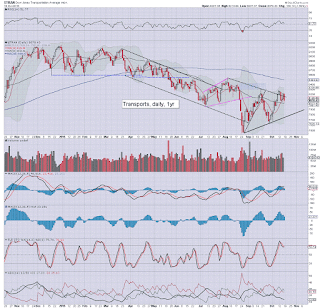 The 'old leader' - Trans, was the market laggard this week, net lower by -2.1% @ 8078. 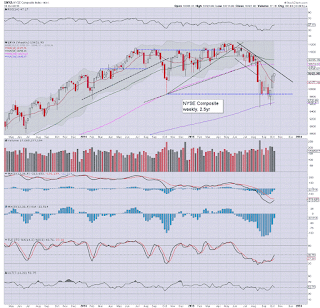 It is notable that the Trans did manage to hold above the 10MA for a second week. Next key resistance is the 200dma in the 8500s. 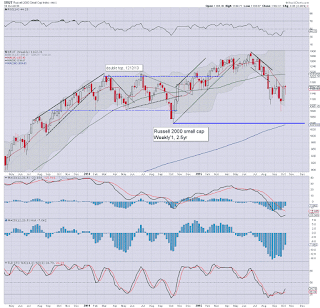 Broadly, the US (along with other world markets) continues to claw up and away from the late August low. 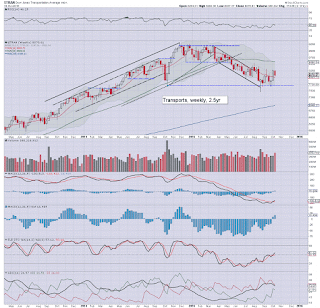 This past weeks weakness in the two leaders - Trans/R2K, is somewhat bearish, but it still appears even those two indexes will push higher into the next FOMC (Oct 28th). Scenario 1: CRITICAL failure to break/hold the 200dma and 10mma.. with heavy selling... breaking new lows (1860) into early 2016... with a broader collapse wave across 2016/17. 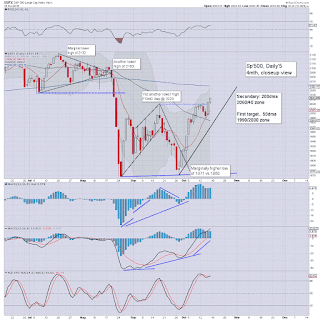 Scenario 2: a failure to break/hold 2060... retracing to 1950 or so.. and then making a second attempt into year end. 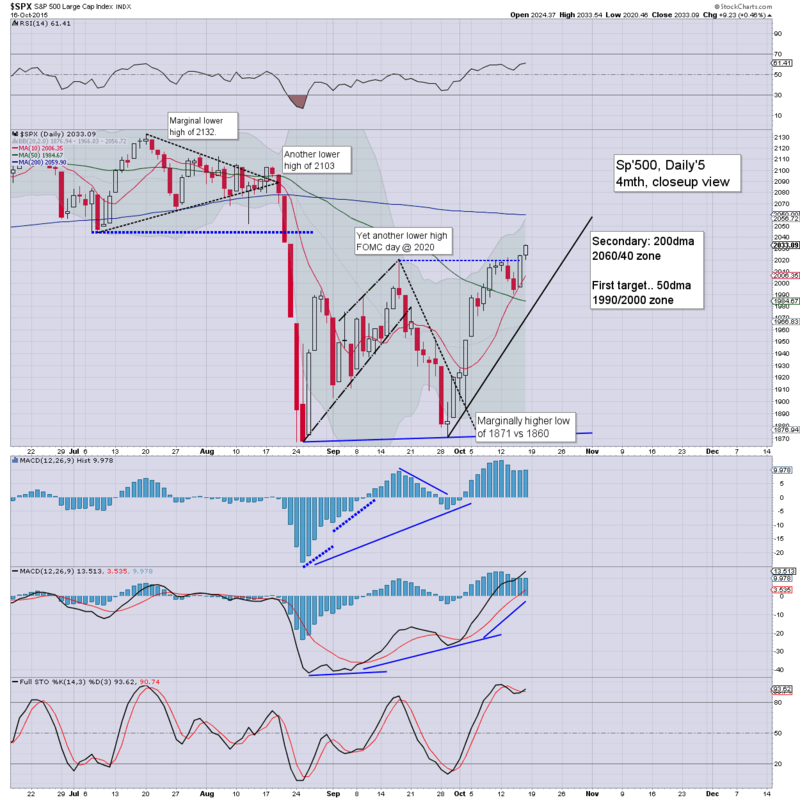 Scenario 3: a break ABOVE 2060.. with the market quickly rising into the 2100s, and breaking new historic highs in some indexes before year end. My best guess? 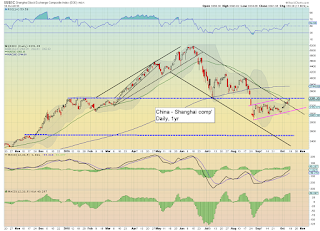 Considering the crazy attitude in market land (such as bad jobs news is good news for keeping ZIRP) and with other world markets - namely China, set to break above resistance... I'm depressingly looking toward scenario'2. I don't see the market <1900 for the remainder of the year. 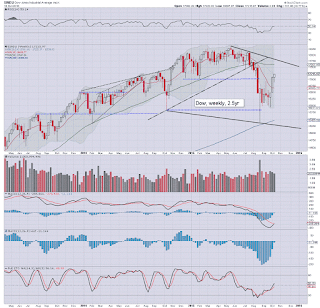 A very light week ahead in terms of scheduled econ data.. but there will of course be a truck load of corp' earnings. T - weekly jobs, existing homes sales, leading indicators, ECB rate decision/press conf. The Chinese equity market continues to battle upward from the Aug 26th low of 2850, with a net weekly gain of 6.5% @ 3391. Any sustained action >3400 will open up a test of the monthly 10MA (3691), which would be a bullish sign for most other world equity markets. I will continue to highlight other world markets as I see some of them as key leaders.. relative to the US. 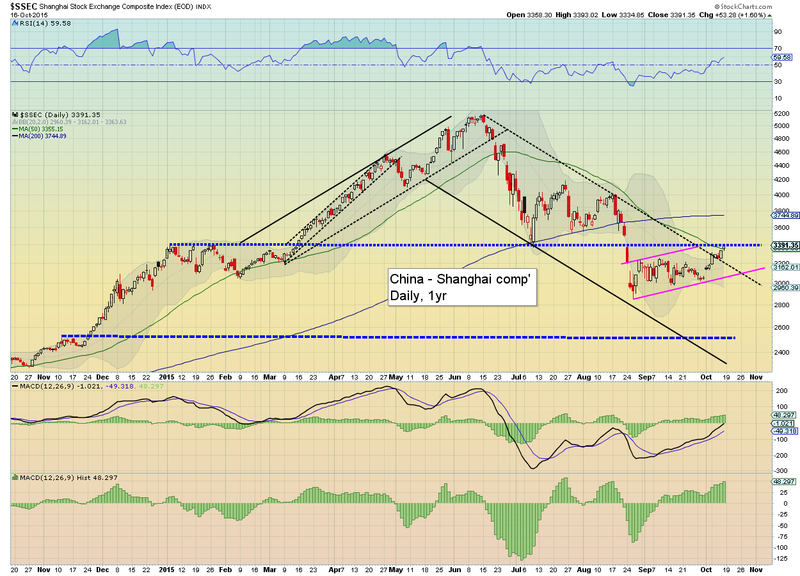 If China keeps on pushing higher... the US will almost certainly follow. 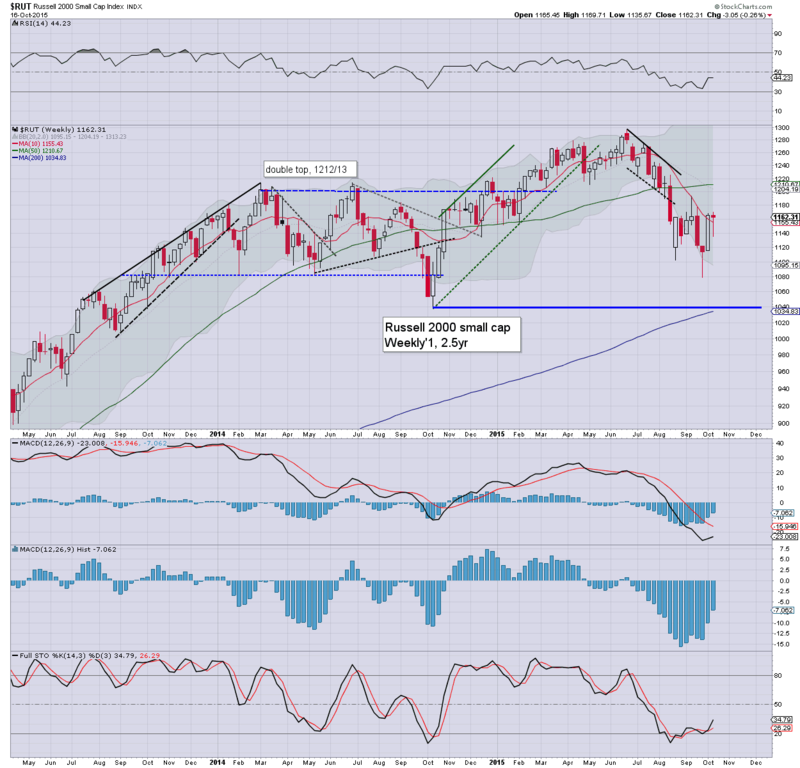 US equity indexes ended the week on a moderately positive note, sp +9pts @ 2033. The two leaders - Trans/R2K, settled -1.6% and u/c respectively. 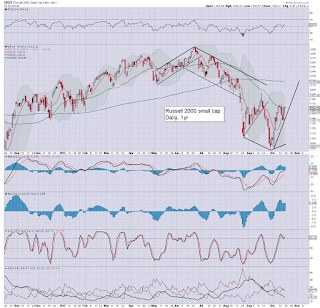 Near term outlook is for further upside to the sp'2040/60 zone... by the next FOMC (Oct' 28th). 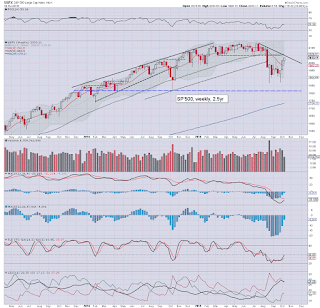 All US indexes look set for a test of the rather critical 200dma, before end month. 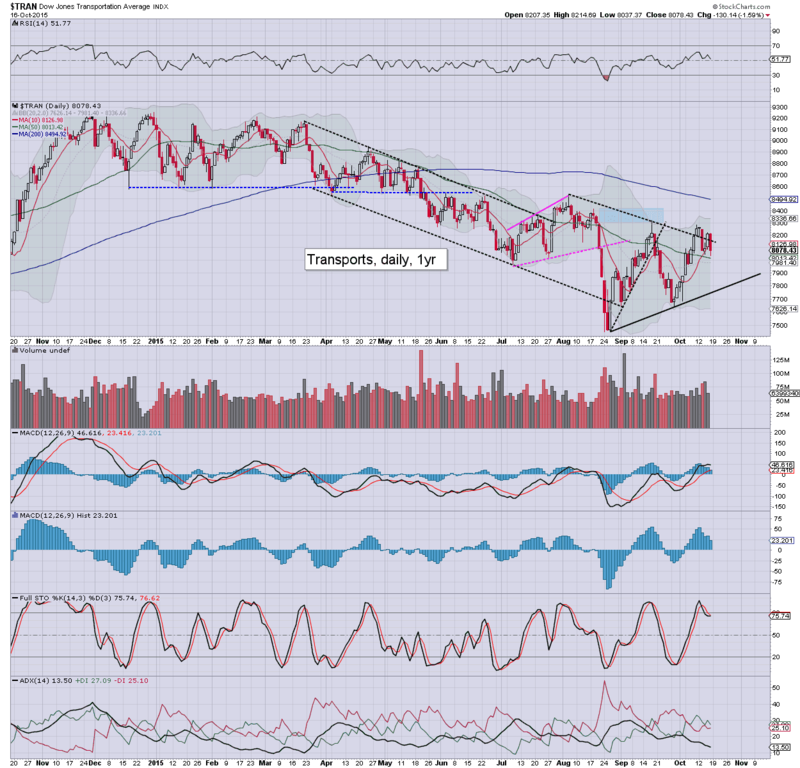 Best guess... 2050/60 by the FOMC of Oct'16.. and then a retrace to 1950. Right now, I'm inclined to believe the market will push higher into year end on the usual 'low rates and threat of QE4' mantra.